Kids' Corner is Ohr Meir & Bracha’s battleground to combat child hunger. 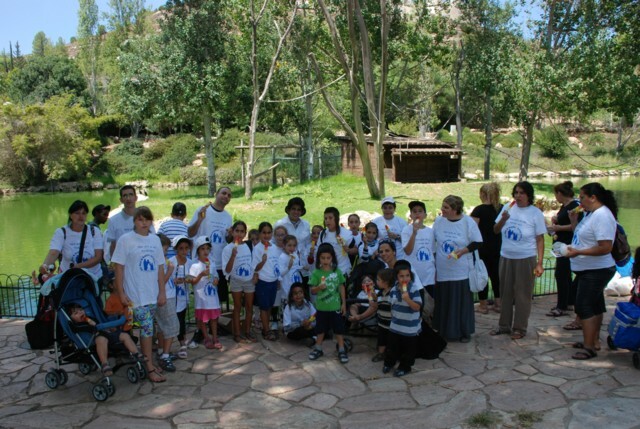 On a daily basis, 50 children, ages 4-16 are cared for at our Ramot location. These children share a background of difficulties ranging from being a part of a family in crisis to a family victimized by Terror. The program offers an individually packed hot-meat-meal + drink, fresh fruit, salad and snack. A comfortable and safe place for the children to come to after school daily. Trained teachers supervise pre-school children and help older children with homework and reading skills. As needed, books and educational toys are provided to advance learning skills. Free dental care, new clothes/shoes, school supplies/books are provided. Every child deserves attention. Every child deserves time to play and just be a child. For children whose lives have been overturned due to the consequences of a Terror attack, how much more so are they in need of a diversion! Summer, 2012 our goal was to provide our children with fun and sun-filled days. We were privileged to take the children on day trips. We traveled to the North of Israel for a ride on the Kineret, enjoyed a sumptuous lunch and watched a puppet show. Another day the “circus came to town” …Jerusalem. The audience was entertained with antics and performances put on by the Beigele Circus.